This Cover Of "Fursat" & "Love Yourself" Is Just... Wonderful! Didn’t you just fell in love with the song “Fursat” by Arjun Kanungo as soon as you heard it? Well, it’s among our favourite songs, and we just can’t get over it! 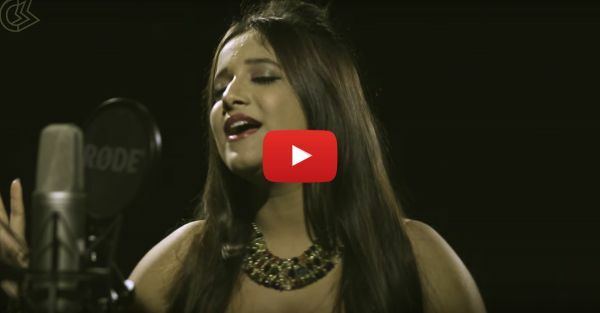 Radnyi Tyagraj recreated the magic all over again by singing its cover, and it’s really good. Hold on, there’s more… The cover is actually a mashup of Fursat and Love Yourself by Justin Bieber. Oh! We’re SO obsessing over this one. Listen to it, we just know that you won’t be able to dislike it because she has sung it so beautifully. What are you waiting for? Hit that play button NOW! PLUS: Subscribe to POPxo on YouTube for original videos + our favourite videos from around the web!